THE safety of the government’s childhood vaccination programme is set to come under the spotlight after the Attorney General ordered that a second inquest must be held into the death of a 15-year-old schoolboy from Co Down. The Detail can reveal that John Larkin QC issued the directive to senior coroner John Leckey and he also stressed that the case is of “enormous public importance”. Christopher Coulter, from Hillsborough, was found dead in his bed a week before Christmas in 1994, 10 days after receiving the combined Measles/Rubella (MR) vaccine at school. Christopher’s parents Anne and Harry have always believed that the vaccine played a part in their son’s death but the original inquest in 1995 concluded that he died from an epileptic fit – even though there is no history of epilepsy in the family. Mr Leckey conducted the first inquest. After Christopher’s funeral, Anne learnt that another pupil from Wallace High School had also suffered a serious seizure after receiving a vaccine from the same batch as Christopher. He survived. This cemented her initial concern that the vaccine may have been to blame. In the last 17 years, the Coulters have contacted departments, politicians from all parties, medical experts, ombudsmen and even the Prime Minister. The Detail reported last March on the family’s long battle for answers about the teenager’s death – click here – and Anne stressed then that she wanted a new inquest to take place. Following the publication of our article, the Attorney General’s office advised Anne that she would need to make an official request if she wanted another inquest to be considered. Anne did this and new evidence by an American expert who reviewed Christopher’s medical records was submitted to the Attorney General’s office for consideration along with other documentation. This resulted in the directive being issued by Mr Larkin, who is Northern Ireland’s chief law officer, last week. 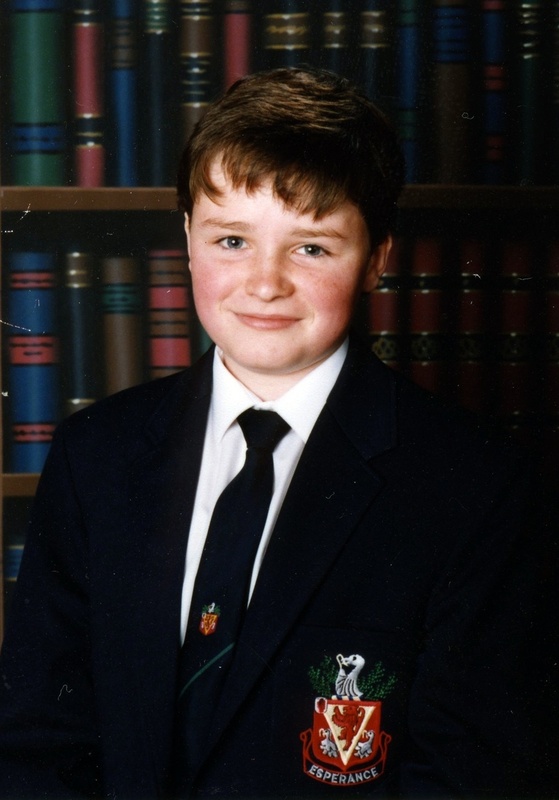 Christopher’s mother Anne said: “We were pleased to learn that the Attorney General had made the decision to reopen the inquest into the untimely death of Christopher, our 15-year-old son, 10 days after he received the MR vaccination in 1994. “We realise this is a step forward as we have tried relentlessly to obtain answers from all concerned with the case to no avail. “However, we are deeply saddened at having to take this route to obtain answers as to why the pathologists involved in the case could not, or would not, include the vaccine when considering why Christopher died. This has added to the grief we all share. The family’s solicitor Mr O’Muirigh will argue that the inquest should be run as a more in-depth ‘Article 2 compliant’ inquest. Article 2 of the European Convention on Human Rights deals with the right to life and places a duty on the state to safeguard life and take measures to investigate following a death. In an interview with The Detail, Mr O’Muirigh said: “The original inquest held in 1995 came to findings which have been challenged by a vaccination expert and came to conclusions without the body of scientific knowledge which is available today. “There is a wide public interest in this case. I think it’s imperative that the role of the MR vaccine in the death of a healthy 15-year-old is explored in great detail. “I don’t believe the original inquest came to the proper findings in relation to this so it is of huge public importance that these matters are explored afresh. The solicitor added that the MMR (Measles, Mumps and Rubella) vaccine may be discussed during the course of the inquest. This triple vaccine is currently given to children when they are around 15-months–old and again as a ‘booster’ before starting school. One of the most high profile vaccine scares centred on MMR and its possible link to autism in children. However, research carried out by Dr Andrew Wakefield has now been discredited. The Northern Ireland Department of Health’s website states that MMR has been extensively used all over the world and has “an excellent safety record”.